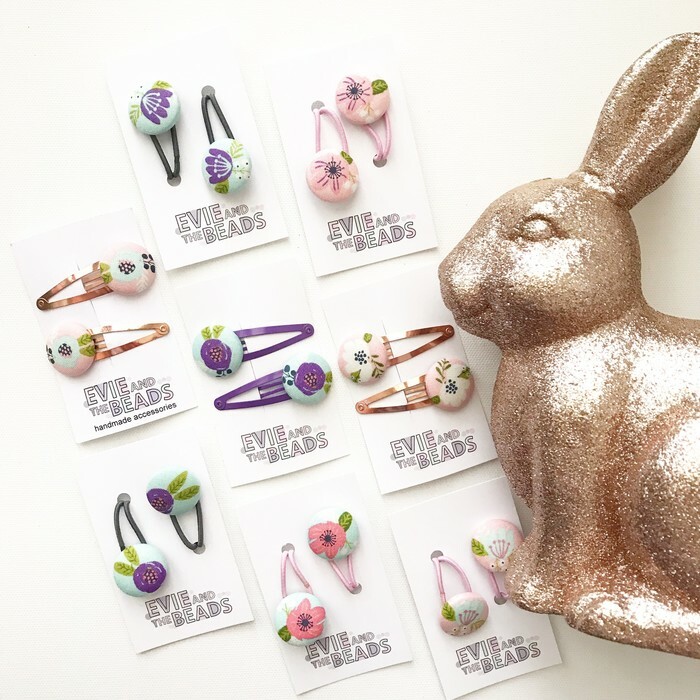 Cutest little hair ties or hair clips that have a springtime feel for Easter. Please indicate at checkout which product you would like. All pictured here are available x 1 only. 23mm fabric covered buttons on snap clips or thin hair elastics. All come in pairs. Please use the code LOCAL if you are in or near Warragul and contact me to organise drop off or pick up.